So lately this has been quite a discussed subject. Are Gibson not doing well? A lot of people seem to be talking about certain financial difficulties on Gibson’s end. Is this the case? Today we´re having a look at the situation and some key aspects that may have something to do with it. Could you please tell us a little bit about Andy Baxter Bass & Guitars and where you are located? How long have you been in the business? Joe Satriani is a pure legend when it comes to the guitar world, and it isn’t the first time we have focused on him on this blog (and who’s to say this will be the last time? ), not only due to his amazing talent, his ingenuity and studio and live-performance legacy, but also due to the fact that he have been an influential teacher for many other guitar legends throughout the years. A self proclaimed Jimi Hendrix fanatic, Satriani have played guitar for more than 40 years now, for a large number of bands, and have due to his pure talent and constant need to evolve as a musician always been able to keep up with the rest of the world, almost consistently having all of his albums reach to rock billboard charts, a feat few instrumental focused artists can achieve in that genre. Joe Satriani made up his mind and chose to pursue a career as a professional guitar player on the moment of receiving the news of Jimi Hendrix’s death, and spent the next couple of years completing his education all the while constantly practicing his skills. In 1978 he moved to California where his career as a guitar teacher and professional performer truly began to take root. 11 years later, after performing for a number of groups of various sizes, Satriani released his first solo album. The album was in part paid for the money he earned by touring with Mick Jagger in a period, and the combination of this, paired with his former students beginning to achieve fame as well and then in beginning to talk to the press and public about where they have received their training from gained Satriani quite some attention from the public. Though never a big rock star in the traditional way, his tenaciousness, talent and always working – always touring life ethos have ensured that Satriani is still a much beloved artists, currently playing in the supergroup Chickenfoot and playing and recording as a solo artist. Having put a considerable number of famous artists collaborations on his resume since the late 80s. When it comes to guitars it at first appears as if surprisingly simplistic in his choice of guitars, mainly playing his own signature Ibanez JS series both when recording and when playing live, whether it be for his solo project or with Chickenfoot. And though the Ibanez JS series is in no way uninteresting – it features a series of rare chrome covered guitars after all – when one digs a little deeper it becomes apparent that like most guitar enthusiasts, and as a true Hendrix fanatic, Joe Satriani does indeed possess a sizeable collection of vintage guitars and rarities. Here at Vintage & Rare we think that both the strange story of the Chromeboy Ibanez guitars as well as Satriani’s vintage collection deserves some room, and to that end we will now share some thoughts on both subjects. Here’s to hoping you’ll like it as much as we do! The Ibanez JS series started off as a prototype model, modified from the Ibanez 540 Radius model, that Satriani originally endorsed in the late 80s, however when Ibanez approached him in regards to producing his own signature series, the collaboration led to the JS series replacing the Radius model completely. 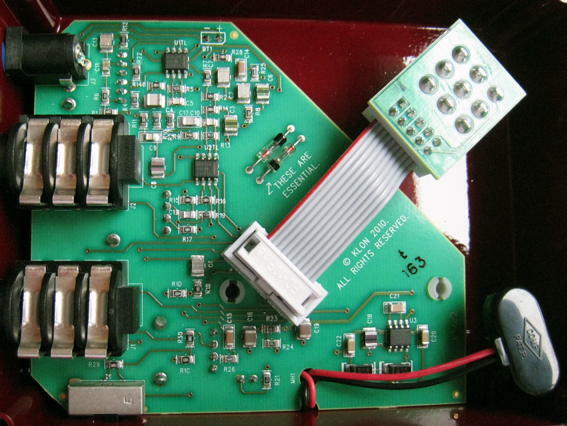 The main difference between the two series was originally the different pickups used, but there have since been made greater chances, both in regards to the body composition, the cutaway as well as the electronics. The JS series have also mainly been using DiMarzio pickups, and ever since Satriani got his own signature pickups from DiMarzio, the JS series have also featured these as the standard pickup of choice for the various JS guitars. For some people, the most interesting part of the story about the JS series is the Chromeboy versions of the series. Made in two generations, the Chromeboy guitar, have since then become a minor rarity, as there was only released a relative small amount of models of each version, both of which are prone to catastrophic breakdowns. As the name implies the Chromeboy guitars were actually chromed, i.e. that the body of the guitars were dipped in liquid metal that then covered the entire body. This method was highly controversial, due to a number of reasons. First and foremost the process is extremely difficult, especially on such a curved body, not to mention the difficulty in getting the metal to stick to the wood without destroying the body in the process. Besides this the process is also quite toxic, and potentially dangerous to the people involved in the process. Finally, the instability of the metal/wood combination leads to a high risk for fractures and cracks, all of which are extremely sharp and almost impossible to mend probably, leading to many a bleeding guitarist – something that everybody is keen to avoid! Though the chromeboy versions are now collector items, the regular JS series have instead become a staple product for Ibanez, and various new versions of the guitars are still being produced, all in close colaboration with Joe Satriani himself. However, even though Satriani most often plays on his own signature series, it doesn’t mean that he only owns and only plays the Ibanez JS series. He does collect other kinds of guitars as well, but always with a very specific mindset. If he does not feel that he can play the guitars to the ability which he desires, then he has no problem with selling the guitar off again. While this might sound maddening to many collectors, there is a pureness to this mentality. Why rob other people of the opportunity to own these fantastic guitars, if he gets no joy from simply possessing them. For a technical innovator and workaholic like Satriani, having a guitar and not being able to play it properly seems to be an out of this world thought. As such his collection of rare and vintage instruments often reflects either the pursuit of a specific sound or a need for emulating they way some of Satriani’s idols played. His collection includes such rarities such as a 1948 Martin 000-21 acoustic guitar, 3 Gibsons from 1958 ( one Les Paul Junior, one TV Special and one L-5CES) as well as a beautiful 1966 Fender XII that Satriani likes so much that it have featured on almost every album he have been on since he procured the guitar. No matter what he plays on we will be happy and content as long as he keeps up the tempo and value he have become famous for, and we hope that Joe Satriani will continue to create and inspire new works of guitar masterpieces. For more guitar extravaganza visit Guitar world on youtube or on their webpage. For more rig rundowns, visit Premier Guitars youtube channel or visit their homepage. For more Joe Satriani videos, visit his fan-community youtube channel here, and if you just need more Satriani in general visit his webpage here. When Joe Bonamassa first started his career at age 12, few would have believed that it would carry him this far. Though he was from the very beginning viewed as something of a prodigal son for the blues genre he would later become a master of, few indeed could have guessed how massive his success and talent would become. Bonamassa, son of a guitar player and dealer, first became noticed by the wider blues community when he was around 13 years old, due to two things: First, and most importantly; he got a gig, opening for B.B. King – something almost unbelievable, considering that Bonamossa was an unknown teenager at that time, and secondly, his opening act for King ensured that he was featured in the american TV show Real Life with Jane Pauley, which was shown all over the US at that time. During the next couple of years he would play in the band Bloodlines, which consisted of the sons of famous and exemplary music stars. The group released a single album before parting ways, paving the way for Bonamassa’s solo career. A few years later in 2000 he released his first solo studio album and it seems that he has in now way slowed down ever since releasing 23 albums and 9 video albums since then, which comes to an average of more than two albums per year! Having partnered with his studio-producer and his very first manager to create his own label J&R Adventures, Joe Bonamassa have found his own alternative to the established music business, and as such his rise to stardom have been harder but more rewarding (at least according to himself), and his shows at the Hammersmith Apollo, the Vienna Opera House and other venues all over the world shows that he has indeed come out on top. Touring for about 9 months each year, all the while managing various trust funds and charity organisations to further musical endeavours for youth all around America plus writing and recording new material, one could easily believe it when people claim that he is the busiest of guitarists out there. Speaking of guitars it quickly becomes apparant that Joe Bonamassa prefers one type of guitars beyond all others – Gibsons. And though the Gibson range in general seems to appeal to him, and though he in no way exclusively owns or plays Gibsons (in a recent interview he claimed to own more than 300 guitars!) there can be no doubt as to what his favorite type of guitar is after watching the rundown of his rig – The Gibson ’59 Standard. Though most collectors would give their right arm to get to own a Gibson Les Paul ’59 Standard (or from €224859/$300906 and upwards to at least €579095/$775000) it is a testimony to Joe Bonamassa’s success that he owns no more than three of them! The famous guitars, known to be among the most expensive guitars in the whole world are not only part of a collectors passion, or a stable of iconic symbols for the blues and rock culture, they are a rarity that most guitar fanatics treasure above almost any other instrument. However to Joe Bonamassa they are even more yet; they are also instruments. Not a single of his treasured 59′ Les Pauls are left sealed away in a treasure chamber as one might expect. Instead he records and tours with them, claiming that not to use them would be the real waste, as their unique sound and the associated imagery that they carry should be shared with as many as possible. Though many might consider this to challenge fate, Bonamassa have taken his precautions, among other things hiring an ex-secret service employe to guard his guitars. One thing is certain, as long as he handles them with care, we here at Vintage & Rare are pleased that Bonamassa is generous enough to share the wonderful sound of such great instruments with the world at large! For more of Premier Guitar’s rig rundowns check out their youtube channel. For more great videos, equipment walkthroughs and much more visit Musicians Friends’ youtube channel here. Though Claudio Sanchez, famous for his role as frontman, singer and guitarist of prog-rock/metal band Coheed and Cambria, is widely known for his vocal range and the bands wild solos some might be surprised by the setup of his guitar rig. While his collection of guitars might be relatively big he sits apart from many other guitar enthusiast, in that most of his guitars, both studio guitars and the ones he brings with him on tour when playing with his band are more or less unmodified stock guitars, neither custom made nor made to taylor in any way. As it is, most of those guitars that Sanchez employs are modified, but mainly with minor pickup changes and even this is mainly due to maintenance, or relatively minor changes to the original layout of the guitars. In today’s blog we will take a look at the reasons to why such a talented guitarist might choose to employ such “standard” stock guitars, and why Sanchez mainly uses Gibson guitars. The Gibson Explorer was originally released in 1958 alongside the Flying V model, both having a futuristic look about them, and the Explorer was originally a evolved version of the Futura model. Initially unsuccessful the Explorer was discontinued in 1963, but when other companies began having success with guitars with similar body work in the mid 70s, the Gibson Explorer was reintroduced. During the next 5-10 years the Explorer achieved great popularity among the hard rock and heavy metal scenes around the world. Made famous by a large number of rockstars, and with a body-shape that is distinct and easily recognizable it is no wonder that the guitar became quite widespread it its use. When asked about his choice in guitars Claudio Sanchez offers a very simplistic and practical reason as to why Gibsons and especially the Explorer have become his go-to guitars, both in and out of the studio; Back when Coheed and Cambria first began touring extensively his old guitar, a banged up Gibson SG, almost fell to pieces quite literally, he needed a replacement guitar – and fast. The choice fell upon the Explorer due to four simple reasons: It was light weight, easy to use, comfortable to hold at length during shows and finally it had a look about it that fitted together with the theatrical visions that Sanchez had for his band. Following this strain of thoughts it also makes great sense that most of his Gibsons are reissue models, copies of the vintage guitars that made the series famous in the first place. When reviewing all of Sanchez’ tour guitars it becomes clear that this is a viewpoint that have carried over to his guitar selection in general. Having 3 almost identical Explorers in his rig, seems almost redundant, however it quickly becomes clear that all of his guitars are chosen from either a practical viewpoint – they are tools of his trade as much as instruments he love – or they are beautiful theatrical instruments that all can fulfill very specific roles within the bands discography. Good examples of this are his Gibson Doubleneck SG guitar and his Minarik Medusa Custom guitars (not featured in the videos above), which all have a extravagant look to them, yet with all carries a unique sound, not easily replicated in harmony with the rest of the bands music. All in all it paints a clear picture of a great understanding for the capabilities of both Claudio Sanchez as a experienced and talented guitarist, but also of a man who has a clear vision of what a specific guitar model is capable of delivering. For more rig rundowns visit Premier Guitar’s youtube channel. For more Coheed and Cambria videos, visit their youtube channel here. Hi everybody, it has come to our attention that one of our friends was faced with a theft of instruments. If you come across them make sure to contact Vintage and Rare or Jean-Do Sallaberry at jean-do(at)jdsallaberry(dot)com or 59goldtop(at)orange(dot)fr. 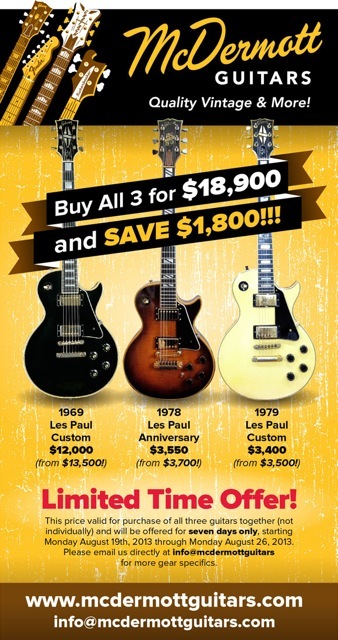 Limited time offer: Save BIG on these three Gibson guitars! How about this once in a lifetime opportunity to get your hands on THREE vintage Gibson Les Paul guitars at once? Only $18.900. This offer from McDermott Guitars is only valid for seven days so you better act quick. Offer is valid from Monday August 19th to Monday August 26th 2013. Detlef Alder talks about the challenges of being a vintage guitar dealer, the oddest vintage guitars he`s had in his shop, his favorite guitars and his advice for players looking to purchase a vintage guitar. Hi Detlef, thank you for taking your time to speak to us. 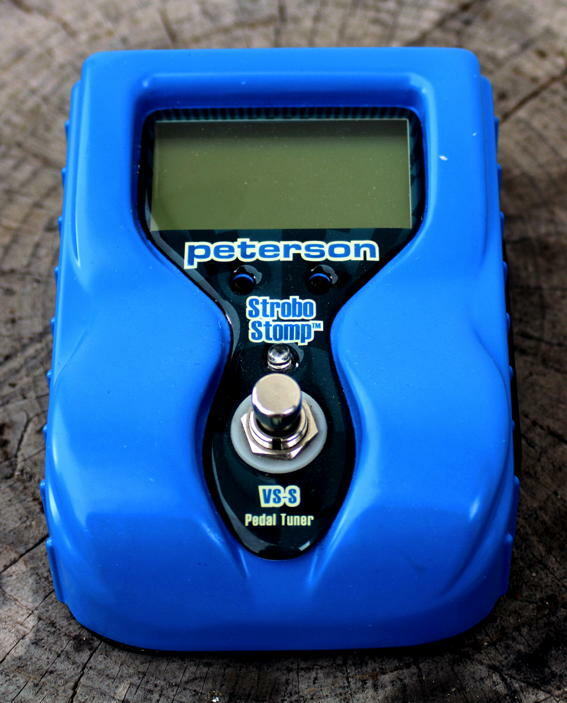 Could you please tell as a little bit about GuitarPoint? Where are you located? We are located in the little town called Maintal near Frankfurt. I opened GuitarPoint about 10 years ago, GuitarPoint has quickly become a good address for guitar players, enthusiasts and collectors from all over the world. From the beginning we specialized in Highend-, Customshop and Vintage Guitars, from this year on we strictly deal with Vintage Guitars only! What initially motivated you to set up a vintage music shop, and when was that? We´ve always been dealing with vintage guitars, even though the High End & Custom Shop gear was our main business. My plan was to concentrate on the Vintage Business only, the last years before my retirement. As I decided this year not to sign any contracts with major brands anymore, it was close and the decision was easy for me to reopen GuitarPoint as a “Vintage-Only” store. We´ve already had the gear and we already had the knowledge. What do you consider the biggest challenge for dealers of vintage music instruments today? It is very hard to keep your Shop inventory always on a high level with instruments of excellent and mint quality. It was much easier in the past to call the distributer and order another dozen of Custom Shop instruments when you´ve sold them. It’s also a challenge to make customers feel comfortable to buy vintage instruments. A lot of customers would like to buy a vintage instruments, but are afraid of fakes, as they don´t have the knowledge to proof the authentic. Do you play music yourself? If so, what do you play, for how long have you been doing it? I´ve been playing music all of my life, I started playing clarinet in a marching band at the age of 6. Later I learned keyboard and finally I got stuck playing the guitar. How do you choose what vintage guitars to carry? I personally choose the vintage instruments for my store. There is a certain demand from our customers, which I have to serve, mostly for the classic Vintage Instruments such as Strats, Teles, Les Paul etc. But I’m always interested to stock some not so famous, but rare instruments nobody else carries. Sometimes if a not so desired vintage instrument is extremely clean (mint) and comes with an interesting story and complete documentation makes me buy it. 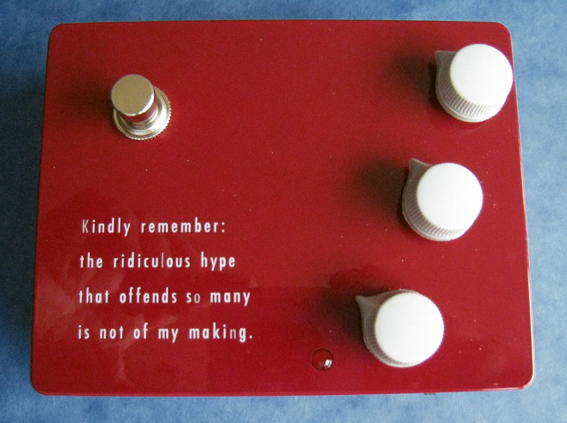 What is the oddest vintage guitar you’ve ever sold? Do you have any personal favorite vintage guitars in your shop? If so, why is said guitar your favorite? Given that this is for a blog, what role has technology (the internet, your website, etc.) played in the success of your business? Especially nowadays it is very important to show your gear to an audience worldwide. Many people don´t mind driving far to check a nice variety of Instruments, but they need to know it´s worth it. The WWW helps bringing your showcase out to the world. Is there a general trend to the people who purchase from you, in terms of how skilled or experienced they are? No, not really. There is the collector, there is the skilled player, there is the “normal” family guy who just fulfills a dream he couldn´t afford when he started playing. There is also the investor as well, most of them play pretty damn good by the way! 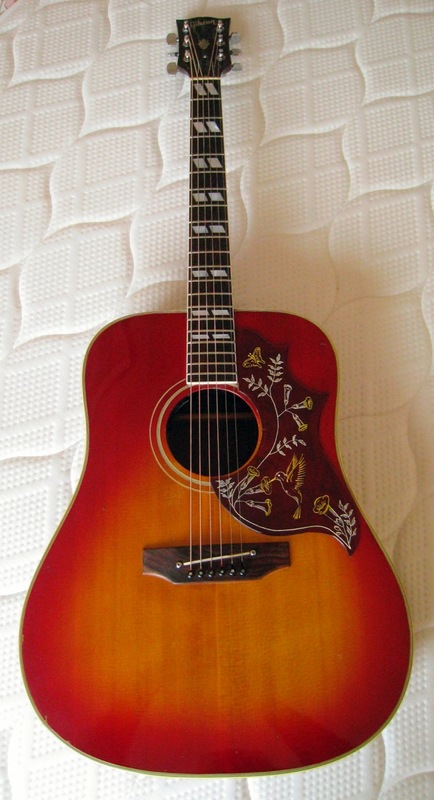 What advice would you give to somebody looking to purchase a vintage guitar? It’s important to buy from a well-known source. Checkout the people who are selling the guitars, if you´re not experienced in vintage guitars, definitely have some expert help you checking the instrument of desire for authentic. Our company sells all instruments with a COA and a checklist of all parts. Furthermore we include a DVD with up to 50 detailed pictures of the instrument. Vinyl records have been popular during most of the 20th century. These recordings are played using a record player called phonograph. Vinyl recordings are once a favorite in the entertainment media. Over the years, the music industry has innovated and produced modern technology from cassette tapes to CDs and digital music players. Old types of music recorded on vinyl are now being revived with the integration of musical instruments. Audiophiles are into vinyl record collection because they love this vintage music format. Even the new generation musicians and music lovers are becoming interested in this old time disc recording. Vinyl record enthusiasts have never ceased using and collecting this form of music medium. In fact, some artists and small label companies release their music using vinyl. DJs also play and spin these records in the clubs and bars because of the good sound quality. Vinyl has survived the innovation of technology and has influenced the music industry over the years. During the middle to the late years of the 20th century, there are a lot of famous vinyl covers that have been produced and distributed in the market. How can we forget the famous cover of the Rolling Stones, Sticky Fingers? Sgt. Pepper’s Lonely Hearts Club Band by the legendary Beatles has been considered the best cover of all times. For decades, label companies have also integrated famous instruments on their vinyl record covers. During the vinyl record era, covers are very significant to express the theme of the artist’s songs. Some use their personal profiles and pictures or musical instruments like guitars, piano and saxophones. a. One of the most acclaimed albums during the 50’s is the Saxophone Colossus by Sonny Rollins. The award winning album was recorded and released in 1956 by Prestige Records and was considered the best albums issued by this recording company. The cover shows a man playing his saxophone in a blue background. It is a jazz album containing five tracks, three of which are Johnny Rollins’ compositions. b. Another remarkable vinyl record cover is the album “Eric Clapton Slow hand” by Eric Clapton. This album includes lyrics of all songs and some art clips and photos. The front cover photo shows neck, turning keys and head of a guitar. A body of the guitar being strummed by a man is illustrated in the back cover. The album was produced in 1977 by Glyn Johns. c. Jerry Lee Lewis also known as “The Killer” pioneered rock and roll music through a distinctive style in piano playing. His album “Who’s gonna play this old piano” released in 1972 contains eleven tracks including the hit songs “She’s Reachin For My Mind” and “Who’s gonna play this old piano”. The vinyl record cover shows an old grand piano with some lyric sheets on top of it. Vinyl record covers were of great help to market and sell albums. The concept depends on the genre and the performer’s type of music. Most of the covers show profiles and pictures of the singer or bands. Covers for vinyl records also show musical instruments used by performers. Albums with famous musical instruments like guitars, pianos and saxophones are incorporated in the back or front cover of the musician’s album. There is no way to start this article without paying a great deal of due to Gibson’s President during their “Golden Era” (1950s to early to mid 1960s) Ted McCarty. The man was a visionary and helped or invented futuristic models such as the Explorer and Flying V and had his hands dirty in the development of the Les Paul and Electric Spanish or ES series semi hollow bodies. Thanks Teddy!! The Gibson ES-335, 345 and ES 355 guitars are probably if not THE most verstaile guitar ever … certainly amongst the top. The solid maple block running through the middle of the guitar is why it is called a “semi” hollow. It allows for the sustain of a solid body with the overtones of a hollow body and the Feedback issue is solved all in one brilliant move. This solid block however would come into play as a difference later between eras which i will soon address in the article. The very 1st releases were in sunburst or natural or what is also referred to as blond today. The early 1958s were slightly different in that they had no neck binding. Though early and unique most dealers and collectors sell or value these for slightly less than a bound model. By mid 58 this was a non issue as binding was introduced and by 1959 the model was really off and running whether 335 345 or 355. Players like BB King and Chuck Berry would help put them on the map. Shortly after its release came the fancier models just mentioned. introduced in 1959.,…. the ES345 and 355. What set these models apart was mostly ornamentaion and the stereo option as well as a vibrola, usually a Bigsby but some sideways are seen too. The 1959 ES355 would also show off the upcoming cherry finish officially introduced in 1960 AND the fancier bound ebony fingerboard. You may have seen the early 59 ES355s and most of them were actually made from the same red anolyn die that faded out of all their other models so the 355s often took on a more reddish orange hue than its later 1960 release where they had solved the fading issue … much like in Les Pauls standards of that era. It should be noted that while stereo was a big part of these models that early ES355s were also made occasionally in mono which is a superbly collectable combo. By 1960 all 3 models were available in Cherry Red, Sunburst and Natural but natural was discontinued after 1960. As time progressed some of the features would change and come seriously into play thus why certain eras are considered much better. This would be the start of a transitional era that eventually revamped many features of the model. Up to this point only minor mods like a knob change in 1960 had occurred. The changes in most cases happened in the mid 60s, These affected many Gibsons in that way. In later 62 the PAF decals were replaced by patent number pick ups though this was mostly a formality and didn’t amount to changes made right away. Also at this time block neck markers became stock though dots were still an option. In 1963 dots were no longer offered. The next evolution would be in the mid 60s late 64 into mid 65 when the well accepted wider fingerboard would disappear ….the nickel hardware would be replaced my chrome .. the stop tailpiece was then replaced by the trapeze, “T-tops” or later humbuckers were introduced and eventually what you wound up with was still a great guitar but certainly somewhat different than the original eras. The 60s and 70s brought players that would also give ‘cred’ to the model Eric Clapton used his 1964 on Cream’s “Badge” … one of the best and most noted guitar solos of all time. In the 70s Fusion guys would put the dot neck into the history books forever with players like Larry Carlton cutting it up on Steely Dan’s “Kid Charlemagne” and Lee Ritenour showing up on the cover of everything with his red Dot. By the late 60s the changes were mostly the same as other models in that Norlin’s signs would show up … like the head volute … “made in USA” stamp” But all in all stayed the same until the late 70s when small additions like coil splitters were added. But there is also another point regarding the center block to be made here and that is there was also a period early in the 70s where some but not all 335s were made with a total divide in the block from bass to treble side that you actually Can see through from both side F holes … or a non solid block. This may have a good clean sound but i have played several and feedback can be an issue at high gain and volume situations. By the nearly 1980s everyone was aware that the earlier features were the ones they wanted and much like Fender … Gibson launched into the reissue business and the reissues are a very close aesthetic version of the originals … though most would argue not on a level of the guitar’s actual playability, sonics and desirability. Which would explain why the reissues go used for about $1500-$2000 and the orignals more like $25,000- $40,000 (and more for a blond!). I too … have payed through way too much for a blond … but back to guitars … It is my humble opinion that the Gibson ES335 is the most versatile guitar ever. 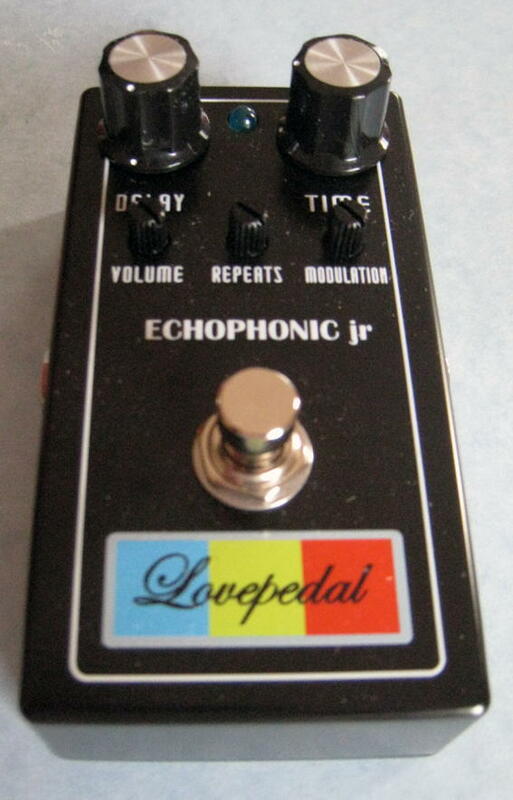 It can be used as a Rock and Roll overdrive guitar, a jazz clean guitar, BLUES guitar extrordinaire …. a country guy can use one on the treble pick up and so on. If i had to part with all of my electric guitars and keep just one … you KNOW its going to be my 61 dot neck ES-335!! Dan Yablonka. Dan Yablonka Guitars.